(MT/TMD) (Cairo) 1989 - 1993. Photos. Framable Color Prints and Posters. Digital Sharp Images. Aviation Gifts. Slide Shows. 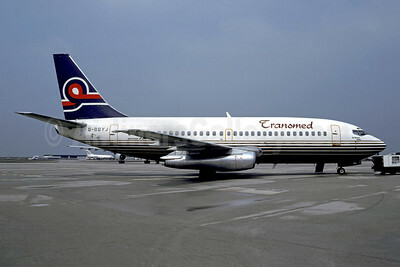 Transmed Airlines (Britannia Airways) Boeing 737-204 G-BGYJ (msn 22057) (Britannia colors) ORY (Christian Volpati Collection). Image: 945570. 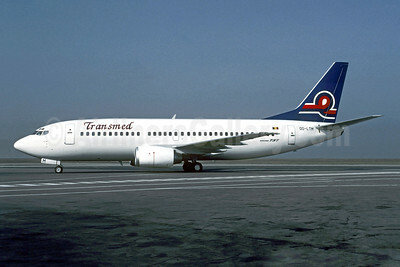 Transmed Airlines (EuroBelgian Airlines) Boeing 737-3M8 OO-LTM (msn 25070) CDG (Christian Volpati). Image: 946027. 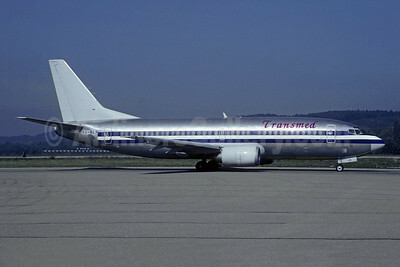 Transmed Airlines Boeing 737-3A4 SU-BLN (msn 23252) (American stripes) ZRH (Christian Volpati Collection). Image: 946025. 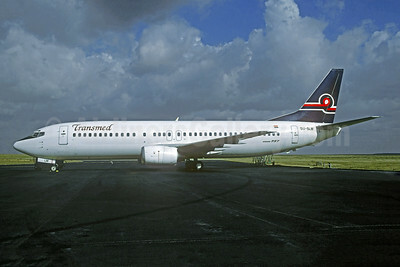 Transmed Airlines Boeing 737-4Y0 SU-BLM (msn 24345) CDG (Christian Volpati). Image: 946026.